Construct a new safe space for the animals with the Safari Enclosure. The individual fence posts snap together, making a large and roomy area for the animals. 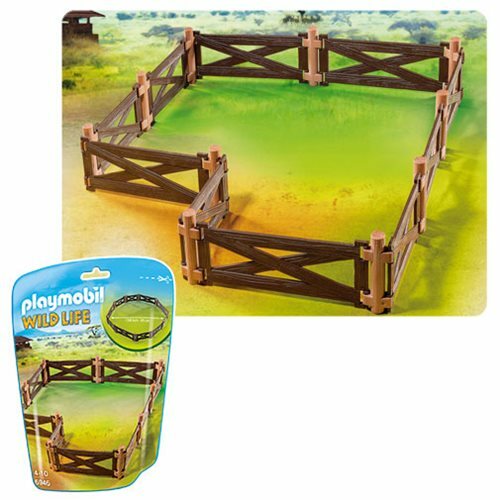 Combine this set with any of the different animal sets in the Playmobil African Wildlife theme (6936-6945). Recommended for ages 4-10. Warning. Choking Hazard. Small parts. Not for children under 3 years.